​The lasers and fillers sound all promising. These options can have some mild to moderate effects. 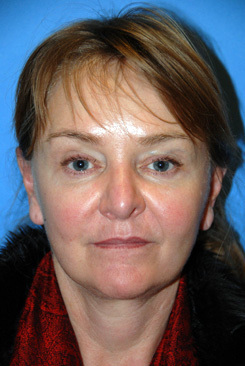 I have done lasers and other acne scar revision treatment for over 16 years. No one treatment is going to treat all the scars of acne as a single modality. Hence over the past 16 years I’ve developed a combination approach that uses five to seven steps treat all types of acne scars. Fillers are temporary and may not be the solution. They are supposed to only last 6 months to 1-2 years. Also fillers cannot change the scars like other procedures do. I work with fillers many times before for ice packs, rolling, elevated and boxcar scars. Sometimes it can work but a lot of times it can actually make them look a lot worse especially with ice pick scars. And the reason is because the very tough scars or so scarred around them that the fillers tend to go around the scars instead of under them where they need it. I’ve seen that before and have tried that many times. We have a combination approach that uses five to seven steps and it’s all done in about 2 hours and it’s called the Acne Scar Vitalizer Treatment. This was developed over 15 years of experience with scarring and acne scarring. This is our post on how to avoid the unnatural looking facelift. (Click here to learn more about Facelifts)Why do people look unnatural with a facelift The biggest problem is likely found in our understanding of Aging. Previous thought has centered around the face dropping and hence pulling the face back has always been the solution. However, nowadays aging has been thought to be played or is due to more of a volume loss. And hence the volume loss to the face always makes the tissues of the face move in and down. But facelifts and traditional procedures have always pulled the face upwards and backwards which is the reversal of the Descent which is good. But it does not create the outward protrusion that is needed to more accurately reverse aging. Facelifts are good at pulling back the jowls and creating a more v-shaped look in the face and it can improve the nasal labial folds and marionette lines to a degree. But to fully rejuvenate the face and some volumizing should be done throughout the whole face to get a more well rounded and more natural look. 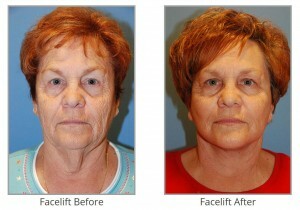 Here is more information on Facelifts Explanations and Options. You can read more about the YoungVitalizer following this link. Below are before and afters for a Fat Transfer Procedure for the lips. 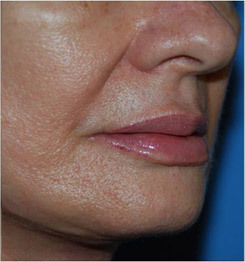 Fat transfering for the lips is a natural way to enhance your lips through a procedure. We use your own fat to enhance the size of your lips and the shape of your lips. How is this done? We usually harvest fat from some part of your body, usually the legs, abdomen, hips, etc. We then process the fat on the same day and then we use small cannulas to inject the fat into the areas that we want. This is all done on the same day. How do you avoid Hollywood Looking | Duck Shaped | Over enhanced Lips? Understanding aesthetics or Facial Beauty is the key to getting the best results for lip augmentation. Dr. Philip Young during his time in Los angeles, noticed how lip augmentation can make your lips look pretty wierd. That is why he spent several years finding out what makes a face beautiful and ultimately he came up with a new theory on facial beauty. You can watch a video of Dr. Young explaining facial beauty here. What is the recovery like? The recovery involves only slight discomfort. In fact, fat injections in general are pretty low in pain compared to traditional procedures. The most difficult part of healing is the bruising and swelling the first week. 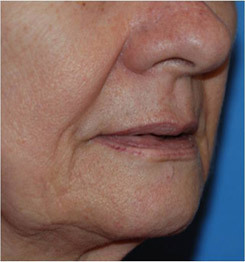 The complications with fat injections to the lips are extremely low. You can read more about Fat Transfer by following this link. Plastic Surgery Testimonial of Karen Owner of the Northwest Women’s Show for Dr. Philip Young of Bellevue | Seattle: We feel really privileged to have such a special patient such as Karen the Owner of the Northwest Women’s Show. She was nice enough to give us a video testimonial that you can see with this link: Plastic Surgery Testimonial Seattle | Bellevue. She has been a patient of ours for that past 6 years. We are planning on doing the YoungVitalizer for her in the near future. 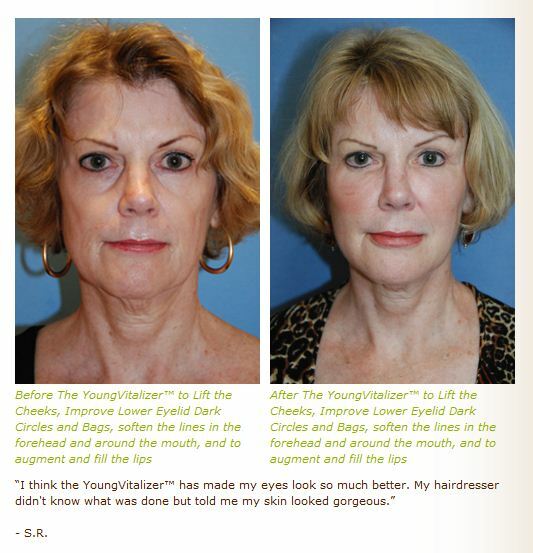 The YoungVitalizer’s positive effects on your skin by Dr. Young of Aesthetic Facial Plastic Surgery: The YoungVitalizer can have very positive effects on your skin by Dr. Young of Aesthetic Facial Plastic SurgeryHow does volumizing help your skin. It took me longer to realize the benefits of volumizing for the skin. But over the years, after showing patients pictures of before and afters, people noticed the improvement of the skin sometimes more than other effects from volumizing. How does it do that. This blog is dedicated to explaining how it works. 1st: The general distention and volumizing of the skin and face, makes the skin more taught. The effect is to have the skin flatter in most areas. 3rd: The increased distance that the facial muscles are placed away from the skin allows the skin to heal. You have skin cells that are constantly remodeling your skin. This increased separation allows your skin to decrease the skin wrinkles in your skin, etc. 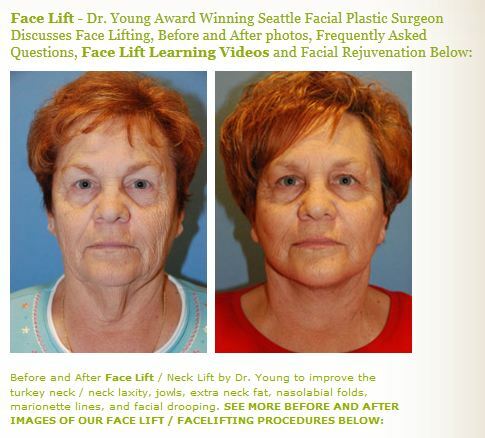 Seattle Face Lift Webpage Released by Dr. Philip Young of Bellevue’s Aesthetic Facial Plastic Surgery: We recently updated our page on face lift from our Seattle / Bellevue based office. There are some helpful links to our procedures including facelift, eye lifts, fat injections, brow lifts, and the YoungVolumizer, the breakthrough incision less face lift. What is the best thing for you. Dr. Young’s ideas are based on results, natural results and constantly improving the way we do things in facial rejuvenation. It started with his theory on facial beauty called the Circles of Prominence. During his training in Los Angeles, he noticed that some of the results from facial plastic surgery were not natural. 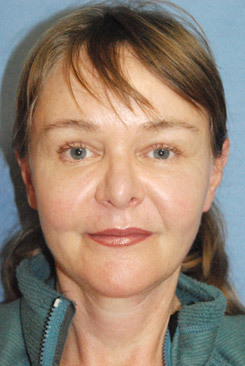 Facelifts look pulled and stretched. Eyelifts were leading to people looking different from how they used to look when they were younger. This instilled Dr. Young to find out why. He discovered that much of what was out there describing what was beautiful in the face was relatively sparse. Even today’s plastic surgery textbooks, and other book on beauty still use theories from the 1400’s to describe beauty. Those theories are largely based on Leonardo da Vinci’s theories on beauty that are now referred to as the neo classical canons. They are founded on Roman theories and hence are termed “neo”. These theories however are based on external landmarks that we just don’t spend that much time looking at when we see and analyze a face. A new theory must be based on what we spend most of our time looking at. Dr. Young discovered, not surprisingly, that there was something in the eyes that was important for a new theory to be correct. You can read more about Dr. Young’s theory on facial beauty here. So what procedure should you choose. Well, if you want to look more like what you looked like when you were younger volumizing will play some role no matter what. The question is whether you changed your appearance over time. If you changed from your facial structure from a grape to a larger grape, you may have extra tissue that will need to be removed. This is where a face lift, neck lift and liposuction can help with. But if you didn’t change much and just lost volume as you aged, then volumizing might be the main way for you to rejuvenate your face. 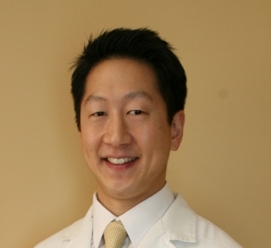 Dr. Young has a way of determining what is best for you through his theory. Within the middle part of the face, Dr. Young believes that mid face lifts, and lower eyelid lifts are rarely the best option / choice. Volumizing is almost always the best way to rejuvenate this area. The one area that volumizing is the weaker choice is for the jowls, and neck laxity. The double chin, and neck banding are better treated with a neck lift and volumizing will not help much. For the eyes, if you don’t mind a more scultped look then an eyelift might be the better choice for you for you upper eyelids. Also if you didn’t like your eyebrows at the position that they were when you were younger, then volumizing might not be the best choice here and browlifting might be better. Just remember that a browlift will change the way you look but it can improve your eyebrow position. But don’t do a browlift to return to a younger age and the way you looked when you were younger. 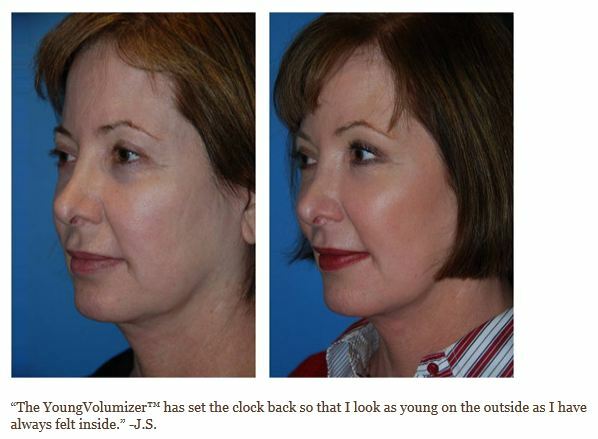 Dr. Young has a nice video on Introducing his Breakthrough Incision Less Face Lift, the YoungVitilizer. You can visit this informative page: Facelifts Explanations and Options to learn more. Healing your body and mind by Dr. Philip Young of Aesthetic Facial Plastic Surgery: Once you have the procedure you waited a long time for, it is time to be patient and wait, again, for your body to heal. Unfortunately, a surgeon’s scalpel is not a magic wand and healing will occur at different rates for different people. You must allow yourself to heal and be aware it is natural to be impatient for the results and a little anxious because you often look worse before you look better. Being aware this can happen will help you understand these normal feelings. Sharing your experience with friends and family can help give you a support system during your recovery, but realize they may unintentionally make you question your decision with concerns during your recovery. While you may think that you are looking pretty rough around the edges, we may tell you that you are healing beautifully. Trust us. We will share with you if there is a concern, so if we tell you that everything is healing normally, it is. Your healing will depend on many things such as your general health, your willingness to follow instructions, and your mental attitude toward recovery. While I can perform the surgery, I cannot “heal” you. It is up to you to be an active participant in your recovery process to help your body heal the best that it can. Following all of our instruction is very important, as is working with us to address any complications that may arise. Even surgeries that are done exactly right can have complications during recovery. It has to do with the human factor. We are not machines and every person can react differently and heal differently even when the surgery is done exactly the same. Every surgeon has unexpected results from time to time. It is important you approach your surgery and especially your recovery with the mindset that we are a team, and you are an integral part of that team. We must trust each other to be working for a common goal, your successful result. As the surgeon, I enjoy my work and strive to achieve an ideal result during every surgery for every patient. I have rigorous standards that my staff must meet in order to be involved in your care. I am looking forward to working with you to achieve a great result and do not anticipate any post-operative problems. I will do everything I can to make sure that you are happy with your result. When Dr. Young was training in Los Angeles, he noticed how the most famous and wealthy people were looking odd after facial plastic surgery. Now if the people in the know and the people with all the resources in the world were getting odd results, what would it be like for the average person. I would say not likely much better. Dr. Young tried to find out why. Through his search he discovered that some of the most basic things in plastic surgery needed some improvement. At the core of this was our blue prints for our goals in plastic surgery. Facial beauty and the knowledge of what makes a face beautiful is like an architectural plan is to a builder. Dr. Young found that our ideas on facial beauty were incorrect and flawed. Even today in 2011, our most dominant theories on facial beauty is based on Leonardo da Vinci’s theories of Facial Beauty that were founded back in the 1400’s. Recently, we have shown that these theories were incorrect. So plastic surgeons never really knew what made a face beautiful or not. Dr. Young thought that this was a serious fact that we needed changing immediately. He then went on a journey to find out just what made a face beautiful or not. During those years of research he discovered his theory on facial beauty called the Circles of Prominence. Also during this time of about 8-10 years, Dr. Young was also discovering the benefits of facial rejuvenation through volumizing of the face. The culmination of the two lead to the YoungVolumizer, the breakthrough incision less face lift. This may sound too good to be true so you can find out more about this procedure on our website youngvitalizer.com. But, this procedure, has made a difference in many people’s lives and you can read about our testimonials for the YoungVitalizer. Why is this procedure so important? Well it all has to do with how we age. Ideally, it is most advantageous to reverse aging in the exact order that use to get the person where they are at in the current moment. If you try to reverse aging in a different order you get unnatural results. This is what happened in the past with traditional procedures. A large part of aging is from a volume loss. This face contracted in and down. The goal of volumizing is making the face younger by directing it up and out. 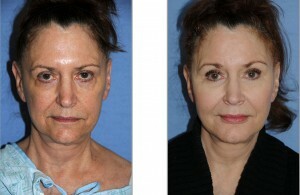 Most traditional procedures tended to make the face up, backward and more inward. It brought the face nowwhere near the point that it used to be. That lead to the pulled, tight and unnatural look. You can Learn more about the YoungVitalizer here. Notice in the above picture, how we have made the face amazingly smaller as well. We did this by adding a lot of volume. How did we do that? Well that is our secret. You can find out more by coming into to discuss your needs through a consultation if you would like. We hope that this article will give you some hope on making your face look more rejuvenated. We are confident that we can achieve many of your facial rejuvenation goals and we look forward to talking with you in the near future.